The customer experience chatbot revolution is just getting started. Chatbots work best when the user has a clear idea of a question in mind, and that is usually the case in customer service. Readers of a certain age will likely remember the coolest robot ever to grace the small screens of Saturday morning cartoons back in the day. I refer, of course, to Rosie the Robot. Rosie the Robot was the robot maid hired by George Jetson, patriarch of the futuristic family that starred in their own cartoon series, “The Jetsons.” Rosie first appeared on the Jetsons in 1962, during the first year the cartoon series ran, and she reappeared in the new episodes of “The Jetsons” that were produced from 1985 to 1987. Turned out Rosie was hired by George because he got a good deal. Rosie was an old demonstrator model at U-Rent a Maid. She had lots of experience and could handle about any task the Jetsons assigned to her, as long as it mostly involved cleaning something. She did, as I recall, serve the occasional meal but she never thought through recommendations for food or drink. Rosie the Robot, meet Margot the Wine Bot. Margot the Wine Bot is the product of the fertile minds at Aspect, who developed this bot at the request of U.K. supermarket chain Lidl. 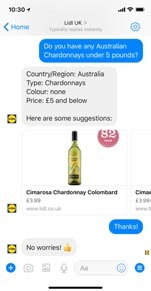 The digital marketing director at Lidl had in mind an artificial intelligence (AI)-driven chatbot that could help Lidl customers make a wine choice similar to the way a live sommelier might. Margot had to be able to give shoppers advice, facts and recommendations in an instant, as they were standing in the store making their purchase decisions. Not surprisingly, Aspect’s Senior Director of Emerging Technologies, TOBIAS GOEBEL, was deeply involved in this project. As luck would have it, I ran into Tobias while at Aspect’s Phoenix headquarters last month and sat down with him to find out more about Margot and the Lidl wine bot project. STOCKFORD : We’ve talked about chatbots in the past, and Aspect is unquestionably a thought leader in this emerging market segment, but Margot takes things to a whole new level. When did you first realize how important this project would be? A well-prepared, knowledgeable and cooperative customer who understood the value of chatbots, but also the challenges and limitations. An application scope that was narrow enough to be manageable with a high likelihood of success and meeting expectations, while challenging enough to put our platform to test. An application domain that was a perfect match for the Aspect Natural Language Understanding engine with its built-in ontologies, which already covered many of the food types, grape types, wine regions and so on that Margot had to understand to provide well-grounded answers. A large international brand that promised an opportunity to scale the solution to other countries and other languages, which again made it a good fit for our multilingual technology. STOCKFORD : What kind of resources did you have to pull this together? How much time did you have to make Margot happen? 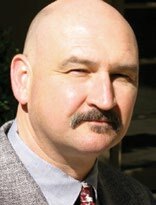 GOEBEL : The core team of any chatbot project consists of a business analyst from the customer side who understands the subject matter and can make design decisions; a Conversational User Interface Designer to come up with the dialog and messaging design; an application developer to implement the app in Aspect CXP; access to our linguists for assistance with ontology gaps in the Natural Language Understanding engine; and project management to pull it all together. The Margot project was stemmed with a combination of Aspect Professional Services, our German partner 2-steps-ahead, and the linguists from our R&D team. From our first meeting onsite to discuss the scope of the solution to a QA- ready bot, it took about two months. With chatbots, it is critical to start testing early with real users, which, in the Lidl case, were recruited from their fan base of lidlcommunity.co.uk. STOCKFORD : What did you want a conversation with Margot to sound like for the Lidl customer? GOEBEL : It was important for the customer to make Margot conversational. Many bots out there are “button bots,” which are really nothing else than mobile apps with menus that just happen to be executed step-by-step as a message stream versus on a screen. Those experiences can work, but the customer wanted more, which is probably the main reason why they turned to us for help, as our linguistic platform allows for conversational experiences “in plain English.” However, since our experience shows that many are simply overwhelmed with a mere “blinking cursor” prompting them to take the first step, we decided to at least start the conversation with a menu, but then go free-form thereafter. STOCKFORD : How did you come up with the “Margot” persona? GOEBEL: The customer came up with the name “Margot,” derived from the French wine-making region Margaux. I thought it was a clever idea. We know that humans tend to anthropomorphize “things” that exhibit aspects and behavior of humans, in this case, a name and the ability to talk to… her? It? And when it comes to brand engagement, like in our case, you’ll realize that this human tendency has a positive effect on the experience. If you look on Twitter for reactions to customers’ experiences chatting with Margot, you will realize how a conversational user interface elicits emotional responses that no other user interface could. Imagine we took the same wine recommendation data and put it on a traditional website or mobile app with dropdown menus and buttons. Nobody would have cared! It certainly wouldn’t have gotten the press that it did. Just look at this video from the Huffington Post (http://bit.ly/2pco9qq). Conversational AI is powerful. That is what I want marketers and CX professionals to take away from this. STOCKFORD : How much was Lidl, your customer, involved in the development of Margot? GOEBEL: They turned out to be a very engaged customer. After we created the initial Conversational User Interface design, they were very involved with not only collaborating on tweaking the design here and there, but also crafting all of the questions for the multiple-choice quiz that we integrated into Margot, and feeding Margot with the 200-plus food-wine pairings that their on-staff sommelier came up with. With the tools we gave them, they are now able to self-sufficiently make changes to Margot’s responses whenever and however they like, without our involvement. STOCKFORD : What do you think the future holds for Margot? GOEBEL: While I cannot speak about our conversations and plans with Lidl, I can say that the technology itself has a lot in stock still for this and many other use cases in digital marketing and eCommerce. Think about integration with online shopping, or expanding her knowledge to other areas within customer service, or expansion to other channels such as Amazon Echo, or teaching her new languages, etc. STOCKFORD : Finally, is there a future for Margot, or bots like Margot, in the contact center? GOEBEL: Absolutely. But not only there. Chatbots can help wherever conversation happens. In Marketing, it finally allows us to have one-to-one conversations with customers at scale; something that simply wasn’t possible or affordable before. A new discipline, “Conversational Marketing,” is emerging. However, chatbots work best when the user has a clear idea of a question in mind, and that is usually the case in customer service, which sits in the contact center. Furthermore, internal use cases make sense, such as HR bots answering the repetitive questions like, “Where do I get new business cards?” “How many vacation days do I have left,” or “When is my W2 due?” as well as IT Helpdesk, and much more. The future of the “digital employee,” really a new type of hire that can do many things (but not all—it lacks creativity, judgment, intuition, problem-solving capabilities that will remain areas for humans to shine), is bright. So, we’ve evolved from a humanoid robot to a digital employee, from a maid to a sommelier, and if Tobias is right, the customer experience chatbot revolution is just getting started. Better move over, Rosie. There’s a new bot in town.